In The Mighty Ducks, a down on his luck coach takes a group of misfits and losers under his wing to turn them into winners. In this case, the chosen sport is hockey. Emilio Estevez plays Gordon Bombay, a prominent lawyer with a troubled past. After a drunk driving arrest, the judge orders him to coach a down and out hockey team as community service. Gordon is reluctant from the beginning after finding out the team is in last place in their league. He immediately becomes even more downtrodden after meeting the misfit kids. The movie tells the heartwarming story of a group of outcasts who rise above society’s expectations. It shows how the past can childhood events can follow one through adulthood and affect relationships for years to come. The story focuses on teamwork, the value of mutual respect, and overcoming adversity. The rise, fall, and eventual redemption of the coach embraces the concept of overcoming the past. 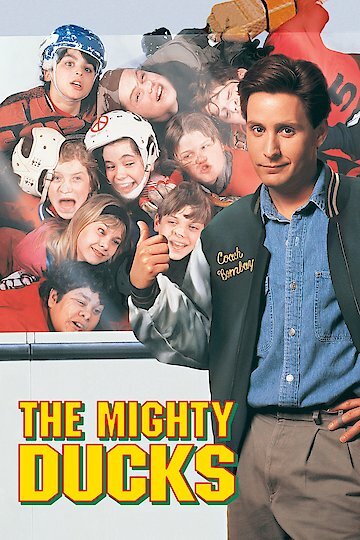 The Mighty Ducks is currently available to watch and stream, download, buy on demand at Amazon Prime, HBO NOW, Vudu, FandangoNow, iTunes, YouTube VOD online.